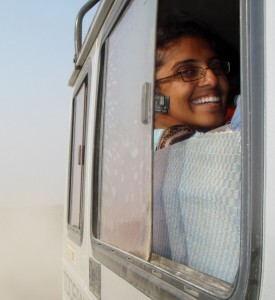 Priti Shah is an Indicorps 2012 Fellow partnered with Mysore based Swami Vivekananda Youth Movement (SVYM). Priti’s project focuses on strengthening a Palliative Care* program pilot. What is the quality of life? How does one define quality of life? How does life and death affect an individual’s quality of life? Where do you draw the line where life means a better quality of life, versus death means a better quality of life? How do you know if the line you drew is accurate and the right choice? And who is responsible for suffering and relieving that suffering? Renu is a 62 year old bedridden patient who has been suffering from paralysis after experiencing a stroke a year ago. Prior to her stroke, she had no other medical concerns except high blood pressure. Since then, she has been completely reliable on her daughters to take care of her—from bathing, to ambulating, to going to the restroom. She shifted from her village to the city so her daughters can take care of her daily. She misses her village, more importantly, she misses being independent and being active. Her three daughters, who are young adults, are very loving; but taking care of their mother has made a tremendous impact on their psychosocial lives. While they love her, they feel at times she is a burden. With lack of a steady income, they have to work while they study to ensure they have food and basic necessities for life. When Renu needs to go the restroom in the middle of the night it’s hard for them to express their love when they are being deprived of essential sleep. While her daughters are at work or school or performing domestic duties, Renu feels neglected and useless. On an early Sunday morning, Renu experienced shortness of breath and was unable to talk properly. Her daughters were home and frightened of her condition. They decided to take her to the hospital and learned she had experienced kidney failure, which lead to fluid overload in her lungs making it difficult for her to breathe. The doctors told the family that Renu required emergent dialysis. This was a lot of new information at once for the family—their mother had kidney problems that they were unaware of, she required expensive treatment that they are not too familiar with, and moreover, their mother was in critical condition in the Intensive Care Unit. While the emotions are high, it was a critical time to make a decision—is dialysis worth it? The family learned a little more about the procedure; they had heard of family-friends receiving the treatment in the past, where the outcomes were not good. They learned it would consist of Renu and one caregiver to visit a clinic multiple times a week, it would be painful and miserable for Renu, it would drain their savings and resources, and it required time that the daughters were already struggling to provide to Renu. Is the dialysis worth it? 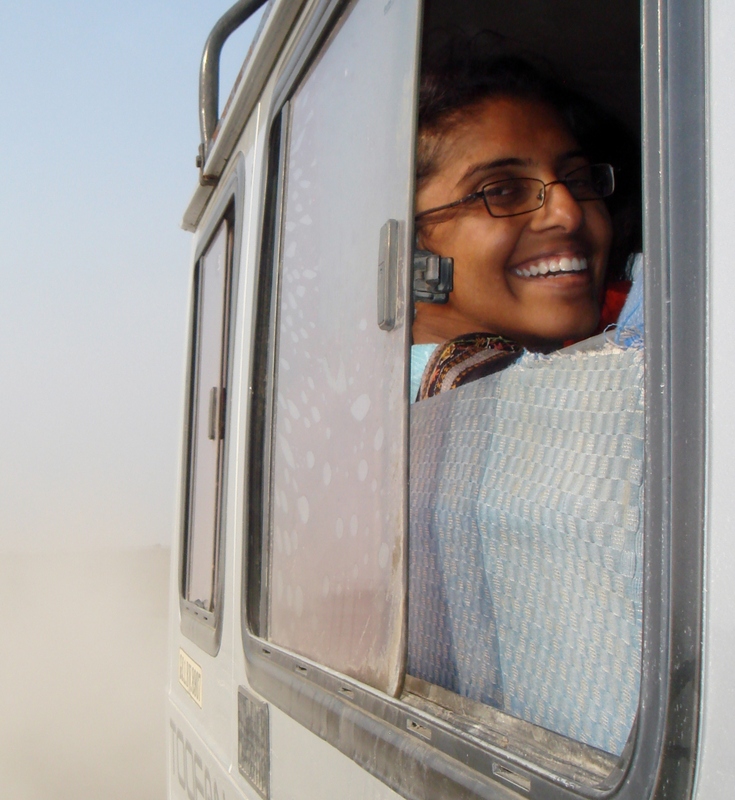 The doctors said yes—it was the only hope for survival for Renu. It was absolutely critical for her if she wanted to live. She was relatively young, healthy otherwise, and had the potential to live for years with treatment. If money is what is driving the family’s decision, the doctors were prepared to give her treatment free of cost or with reduced fees. The family deliberated and decided not to get the dialysis. I was shocked. For me, there was no question whether or not she should get the treatment—it was obvious since it was her only hope for survival. As my host family, I became emotionally attached to her and her family and wanted only the best for her. As someone who believes in medicine and its cause, I also agreed it was the only option she had for survival. I did not want to give my opinion to the family but wanted them to make an informed decision on their own. I quickly realized medicine and healthcare do not always paint an accurate picture of personal well-being Are treatments and medicines always the solution to a problem? Are we assessing the right problems? Will treatment prolong Renu’s life or prolong her death? I asked myself these questions as I sat in the waiting room at the hospital. After my initial response of shock towards their decision, I became skeptical—what were their intentions behind their decision? I quickly realized their perspective and understood their demeanor. Will Renu’s survival today be worth the pain and suffering she and her family will have to experience here on out? For an individual who is bedridden and rarely sees the trees outside her home or feels the sun rays, is it worth prolonging death? Does death really mean the ultimate suffering or release of suffering? After Renu’s family had made the decision, the doctors were shocked and tried explaining to the family that she will die, and they had made the wrong decision. Who are they to decide whether a decision of life or death is the right decision? The family was tormented for the following days—seeing Renu’s condition deteriorate and debating whether their decision was the right one. They explained to her that the end is near but wanted to fulfill any of her last wishes or needs. They tried to make Renu feel as comfortable as possible. Eventually the inevitable happened and Renu passed on. In retrospect today, the family believes they truly had made the right decision. We believe her soul is finally at rest, and she is no longer confined to lying in a corner in her home. Whose responsibility is it to relieve suffering? Renu, her family, doctors, nurses, me, her neighbors who could have looked after her? The need for palliative care is essential to attempt to relieve suffering for others. This holistic approach holds everyone responsible for caring for Renu and allows Renu to be more human rather than a synthesis of organ systems. The doctors as well as the local community could have promoted her overall well-being. Her true needs, which are not always medically-related, are assessed in palliative care and her community can assist her to mitigate her worries. With more individuals involved in her well-being, Renu could potentially have suffered less well before the last few days. *Palliative Care is an approach that improves the quality of life of patients and their families facing the problem associated with life-threatening illness, through the prevention and relief of suffering by means of early identification and impeccable assessment and treatment of pain and other problems, physical, psychosocial and spiritual.